In Future Trends: Facebook Wants it All we look at the trends that we should be aware of today, April 15th, 2016. I have to say that I am actually quite excited with what Facebook is coming up with (even though previously I became less than a fan). 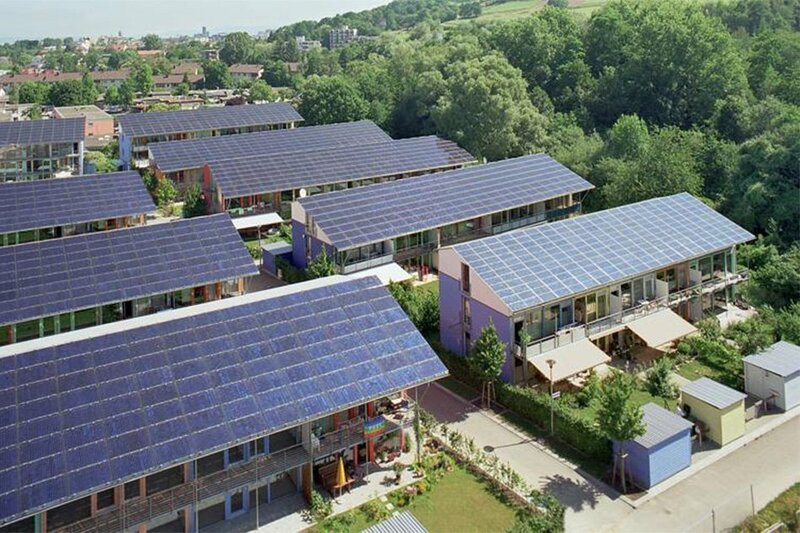 The Sonnenschiff and Solarsiedlung cities located in Freiburg, Germany are modern, planned habitations that were worked upon with solar power in mind. Literally meaning Solar Ship and Solar Village, the Sonnenschiff and Solarsiedlung cities were specifically designed and built to be solar cities, balancing size, accessibility, green space, and solar exposure. Each of the fifty-two homes along with some commercial buildings is fitted with large rooftop solar panels that double-up as sun shades. The panels are perfectly aligned to point in the right direction of the sun, and the buildings follow the Passivhaus standards of green building technology. The cities have been designed by architect Rolf Disch. Together with the latest photovoltaic technology for the panels that make them highly efficient, and use of phase-change materials and vacuum insulation for the walls of the buildings that provide optimum thermal performance, the cities are able to generate four times the power which they consume. Canada’s law legalizing physician-assisted suicide — which allows doctors to help terminally ill patients end their own lives — will only apply to people who live in Canada, according to the Associated Press. That means terminally ill Americans who live in one of the majority of American states that doesn’t allow physician-assisted suicide won’t be able to travel to Canada to end their lives. When Canada’s Supreme Court legalized assisted suicide for patients who have a “grievous and irremediable medical condition,” it led to speculation that the country would become a destination for people from elsewhere looking for aid in dying comfortably. By limiting aid in dying to Canadian residents, the Canadian laws, which are scheduled to be announced Thursday, make it much less likely that the country will get an influx of “suicide tourism.” And the spread of aid-in-dying laws in the US means they might not need to. After California legalized physician-assisted suicide in October, one in six Americans now lives in a state where it’s legal for doctors to help terminally ill patients end their own lives. John D. Carmack is an American game programmer, aerospace and virtual reality engineer. He co-founded id Software. Carmack was the lead programmer of the id video games Commander Keen, Wolfenstein 3D, Doom, Quake, Rage and their sequels. And now, the UK’s foremost film and TV institution, the BAFTA’s has invited him in. A big day for the gaming industry. In this episode Nikolas interviews Denise Brennan who owns and operates The Studio at Creative Coworkers, a coworking space for mostly creative professionals in Vancouver’s Railtown district. With an educational and professional background in social networking, open source community building and labour activism, she’s passionate about the connection between the near future evolution of work and labour rights, and the potential for coworking to facilitate progress and change in that process.